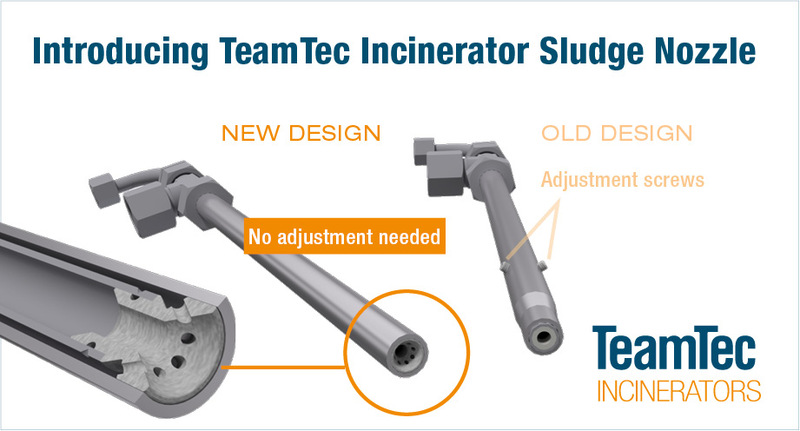 TeamTec is exited to launch a new sludge burner nozzle designed to improve atomization of the sludge and make your incinerator more reliable and maintenance friendly. The new sludge burner nozzle has been thoroughly tested for a long period of time in our test lab, as well as on sailing vessels. It is now introduced as standard to all TeamTec Generation 5.2 incinerator models. The performance and maintenance friendliness of this new nozzle also makes it a great upgrade option for TeamTec Incinerators already in operation. We can now offer upgrade kits to all TeamTec Incinerators delivered since 1996. Our new and continuously improving technology has many advantages; keywords are automation, increased capacity and lower fuel consumption. An upgraded incinerator will meet the latest IMO regulation. You may be amazed of what we can do with your old incinerator!